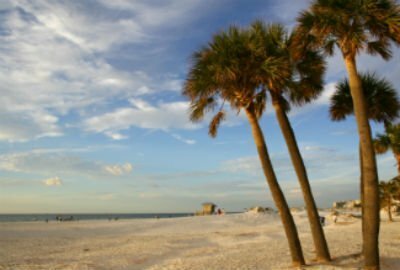 Home seekers and vacationers alike flock to Southwest Florida and the Paradise Coast in order to experience life at a more relaxed pace. From cozy cottages to imposing manor houses, Southwest Florida real estate lies near soft, sandy beaches, impossibly blue waters, challenging golf greens, and an amazing array of local attractions, retail shops, and restaurants. Depending on which community you choose, you can be close to boating, next to stunning natural preserves, or close to some of the best schools in Florida. At Key Real Estate, we believe that there's a place for every type of person in the oasis of Southwest Florida. We've designed these community guides to provide fresh, local perspectives on Estero, Bonita Springs, Naples, and Fort Myers homes for sale. Whether you've always imagined yourself in a beachfront vacation home on Sanibel Island, a sprawling estate in North Naples, or a private bungalow near the fairways in Estero, you'll find a community for you. Welcome! For more insider knowledge from local Southwest Florida real estate experts, get in touch with Kevin Yankow and the Key Real Estate team today.